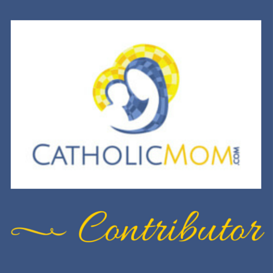 Blair, who blogs at Blair’s Blessings and started a Facebook group last year called Catholic C-Section Moms (be sure to check it out if you need support/encouragement/advice/prayers! ), and her husband are expecting their sixth baby — their third boy! Of course I love each of these names — how can you go wrong with such classic, saintly names?! “As you can see, we like rather traditional saint names! We like some biblical names (for example Rebekah or David) but aren’t sure how well they’d fit with the others. I think we’d prefer a more obvious saint name as the first name. I like the children having a unique first initial, but could budge on that. So far, the boys’ names are family names. Our first son is a junior and the other son is named after both grandfathers. But Peter has always been my husband’s favorite. In fact, it was the name of our first son throughout the pregnancy until a few days before he was born (he even has a bag monogrammed with Peter!). Alrighty, first of all I wanted to address the concern that David might not go so well with the other kids’ names. When I was doing my research for Blair (you all know that I usually start a consultation by looking up the names that the parents have used and like/are considering in the Baby Name Wizard as it lists, for each entry, boy and girl names that are similar in terms of style/feel/popularity), I wasn’t at all surprised to see that David was listed a style match for both Steven and Thomas! I know a couple of Stephen+David brothers and Thomas+David brothers, and with St. David being a fairly popular saint (patron of Wales, in addition to the biblical David), yeah — I’d definitely keep David on the list if I were Blair! I also loved Blair’s thought that maybe they “just need a good middle name to liven up” some of their ideas, so I wanted to spend some time on that. The first idea I had was Peter Xavier — it’s a combo I came across when working on my Sibling Project — one of the readers offered that they know a Kateri who has a brother named PeterXavier (double first name, all one word, no hyphen), and I immediately loved it! I think Xavier is so cool in the first or middle spots — no cooler initial than X! — and putting it in the middle I think really makes the first name sparkle. They could also do something like Peter Giorgio, for Bl. Pier Giorgio Frassati — I don’t know if they have any Italian heritage, but I don’t think Italian heritage is necessary to use Giorgio in the middle as an honor name for a specific person who went by Giorgio. I also know a little Peter Karol, after JP2 of course — it basically translates into “Pope John Paul,” right? Peter=pope, Karol=John Paul! Or Peter Charles, for JP2 as well? It could be a first name+middle name, or they could do a double first name like Mary Clare. As for Blair’s idea of “John Paul (or another double John name),” I’ve become more and more convinced that double John names are some of the very best—they remind me quite a bit of the Mary doubles, where Mary can stay part of the everyday name (like their Mary Clare) or it can just be on forms and the girl can go by her middle name, and either way it adds a little Marian dazzle which is awesome. I find it a bit harder to bling out a boy’s name without it heading toward the feminine side, but John+ names are always good for that. This post has a whole lot of John+ ideas! If they love the idea of naming after JP2 but are wary of using John Paul itself because of all the little John Pauls they know, there are other ways Blair and her hubs might like to nod to him. I suggested Peter Karol or Peter Charles above, and I quite like Charles as a first name for this family as well. I know it’s not as obvious as John Paul, but that can also be its strength as well, as it might be less used among the families they know. Another idea, which I just loved when I first read it, is to use his childhood nickname of Lolek as a nickname for Luke—a reader suggested it here and I thought it was brilliant! I love Luke as a brother to Steven and Thomas—nice and biblical, and I basically consider Luke to be a Marian name because his gospel’s the most Marian; it’s also a style match for Jacob, Tess, and Clare. Or Lolek as a middle name? Peter Lolek? Anyone who knows anything about JP2 would get the reference right away I think, and though I’ve seen Lolek used here and there, as far as I can tell it’s pretty rare. Another idea I had was to do with Michael on their list — I’ve long liked the idea of something like Michael Alexander or Michael Xavier with the nickname Max — not only can an interesting middle name “liven up” a more comfortable first name, so can an interesting or unexpected nickname! Michael is definitely “comfortable” — handsome, traditional, established, masculine, saintly — but a Michael nicknamed Max gives it a twist! Or, this book, as well as a bunch of other places online, argue that one origin of Miles may be as a contraction of Michael. So Miles on its own could be a Michael name or, as I would love for Blair, a nickname for Michael (and you all know one of the other origins of Miles, which I die over and push on people all the time — an anglicization of the Irish Maolmhuire=”servant of the Virgin Mary” … so Michael nicked Miles could be a St. Michael+Marian name all in one!). Or an idea that I’ve recently loved is something like Michael Oliver nicknamed Milo (or really, Milo could be a nickname for Michael even without an O middle name). So many fun options! But of course, offering interesting nickname ideas isn’t what Blair asked for and I suspect it might not be her style, so I’d love to hear all your ideas for spicy middle names! Robert jumped out at me right away as a name that just *felt* right for this family. It’s also a match for Mary (standing in for Mary Clare, since Mary Clare doesn’t have its own entry in the BNW), Thomas, Elizabeth, Jane, Theresa, David, and Peter—a great fit! My husband used to tease me mercilessly that his naming style is “Bob,” and so for a long time I totally disregarded Robert, but more recently I’ve been digging it. I think Robert on Downton Abbey helped, and of course St. Robert Bellarmine is awesome, and I’ve been loving recently the unusual nickname ideas of Rory and Bo, but I’m not currently hating Robby either. Suggesting Peter Giorgio above made me think of George, as well as Pope Francis’ pre-papal name being Jorge=George. It’s a match for Mary, Rose, and Edward, and is just as sophisticated as the rest of Blair’s kiddos’ names. Finally, Henry, which I think is one of the sweetest names for a boy. It has impeccable saintly credentials—check out its spotlight here. It’s a match for the equally gentlemanly Charles, George, and Edward, as well as Caroline, and its traditional nickname Harry is a match for Tess. And those are all my ideas for Blair’s little boy! What do you all think? What would you suggest for Mary Clare, Ellie, Steven, Thomas, and Katie’s little brother? Don’t worry! It’s not that kind of political post — nothing here to get anyone riled up! I’ve also seen a call to say a Novena for the elections, starting today and ending on the evening before Election Day, which soothes me to no end, knowing that so many people will be praying specifically for protection for our country. This novena was written specifically for this intention, and asks for the intercession of some heavy hitting saints. My family and I will be saying all these prayers, starting today (which is why I’m breaking my Sunday blog fast to post this, in hopes it’s helpful for all of you), (and I’m adding in the additional intention that I don’t forget to do so every day!). It’s such a comfort to know that there’s actually something real and powerful we can do to help! A mama I did a private consultation has let me know her little girl has arrived and been given the gorgeous name … Eliana Katherine! Congratulations to the whole family, and happy birthday Baby Eliana!! I love the Irish feel of her boys’ names; I love the old-fashioned chic of the girls’ names — Stella’s currently at a peak of popularity, but the last time it was similarly popular was the early 1900s, which is when Hattie was most popular (and they were at similar rankings back then); I love that they all incorporate family names (Aaron is Tori’s dad, Doreen is her mother-in-law, Davey is Tori’s own middle name and a family surname if I remember correctly, and I don’t remember what connection Margaret has); I love how they all go really well with big brother Jack (from her husband’s first marriage). Seriously, she’s done a great job. My SIL encouraged me to post about it, and then I read Tori Spelling Has Been Great at Baby Names but Now She’s Stumped (baby’s gender is as yet unknown), so here we are! 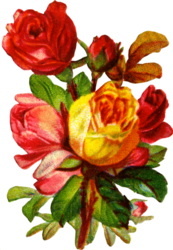 Mabel was one of the top names of the first decade of the 1900s and currently has a similar popularity arc as Stella and Hattie. Such a sweet name! Like Mabel, Georgia also has a similarity popularity path to Stella and Hattie, both in the early 1900s and currently. It’s sweet for a little girl and sophisticated for a woman. Ditto all of my comments on Mabel and Georgia for Ruby! It’s got the right profile all around for this family. Greer is the only name that’s off, popularity wise, from the others — it’s actually never been in the top 1000 — but 1940s actress Greer Garson inspired me. I’m sure Tori doesn’t need middle name ideas, since I’m sure she has more in her family tree that would be great, but I was particularly loving the idea of Eleanor as a middle, for what it’s worth. Jack, Liam, Finn, and Milo seem like an awesome set to me! (Or Miles, if they don’t mind losing the four-letter thing). Ages ago — like ten years ago — on BabyCenter there was a name poll for a family who had three boys already: Jack, Finn, and Bram. Ohhh my, I loved that set — so much so that I remember it all these years later! So I’m suggesting Bram. Love it. I think Declan most closely matches the popularity arc of Jack, Liam, and Finn as a set. It’s a great name! Connor is most like Jack in its popularity — pretty steady at about the middle of the top 100 — and it’s amazing with McDermott. If I had to choose a middle name, I’d probably consider either Dean (unless it’s Jack’s middle name) or Patrick. I’d love to hear your ideas for the Spelling-McDermott family! I love every single one of these combinations!! Such a great bunch of names, and so meaningful, each one! 15 But Hannah answered, “No, my lord, I am a woman sorely troubled; I have drunk neither wine nor strong drink, but I have been pouring out my soul before the LORD. 18 And she said, “Let your maidservant find favor in your eyes.” Then the woman went her way and ate, and her countenance was no longer sad. So beautiful, right? I just love stories like this! And I don’t think it’s a silly promise at all — I think it’s lovely to thank God in such a beautiful way. And if the baby had been a boy, they were considering Beckett Samuel. “Weird names” are right up my alley, so you know I totally rubbed my hands together delightedly and my mind started clicking! I did find Hannah somewhat challenging to work with in terms of pairing it with a first name in a pleasing combo, but I think I came up with some good ideas. Lorelei and Ruth are both great ideas for a baby girl! I was pretty surprised by Lorelei, just because it doesn’t have a saintly connection and all Maria’s other kiddos’ first names do, but of course the first name doesn’t have to be a saint’s name. I really like the flow and sound of Lorelei Hannah. Ruth is so sweet, and Ruthie is one of my favorite nicknames, lovely! I did wonder if Rose and Ruth are too similar, being that they both start with R and have four letters? And their middle names both contain Anna? But with Rose at the beginning of a large family and Ruth at the end, it probably doesn’t matter much at all. As soon as Maria said she’s Hispanic I started thinking of the Spanish names I know that might suit, especially those that don’t end in -a (as I don’t think ends-in-a names have a great flow with Hannah), and Araceli is one of my favorites. It comes from the Latin for “altar” and “heaven” and refers to Our Lady as the Altar of Heaven. So beautiful, right? Marian names are my favorite! . Damaris is actually a style match for Thaddeus, and it’s also on the list of Latina names in the BNW, so it seemed a spot-on suggestion. It’s the name of a woman in the New Testament who was converted by Paul, and Lindsay at the blog My Child I Love You and her family use it to mean “of/belonging to Mary,” which I just love. There’s a Food Network chef named Damaris Phillips who pronounces it da-MARE-is, but I know DAM-a-ris is also acceptable. Caeli can be said CHAY-lee (which is how it’s said in Church Latin) or KAY-lee, and means “heaven” (same as in the “celi” part of Araceli); it’s most recognizable I think as part of the Marian title Regina Caeli (Queen of Heaven). Penelope is a style match for Lorelei, and I love how it sounds with Hannah. For a long time there wasn’t any faith connection, but in September 2015 Pope Francis made Ersilia Penelope Frey a Venerable! I’m listing these two together because their faith connection is similar — I discussed Ruby here and both Ruby and Scarlett here and here. I love how Ruby Hannah and Scarlett Hannah sound, and Scarlett was also a style math for Beckett. Verity means “truth” and is an awesome name for a little Catholic girl. It also flows really well with Hannah. I almost didn’t include Felicity because I didn’t think it was weird/unusual enough, but I ultimately decided to because of how well it goes with Hannah in my opinion. It means “happiness,” which is an awesome meaning for a little one, and it goes especially well with Maria’s conception story. St. Felicity is great too. And those are my ideas! What do you all think? What name(s) would you suggest for Rose, Sofia, Gemma, Sebastian, and Thaddeus’ little sister? Reader Anna posted a story to my Facebook wall today — one of Abby’s Name Sage posts on Nameberry that had gotten quite a bit of feedback: Baby Name Theft? Sibling rivalry over a name. “I have always loved the name Josephine, called Josie or Jo. My sister likes it, too. She doesn’t have kids yet, but really wants them. To be considerate, I asked if she was okay with us using Josephine for this baby. She said it was fine. My husband and I decided to use the name. [Their older daughter] calls her sister Josephine, and we’ve been referring to the baby by name, though we haven’t officially announced it. Just recently, my sister told me that she’d changed her mind, and she wants to keep Josephine for herself. Now she’s not speaking to me. Oof! So maddening! So unfair! So ridiculous! I’m certain all of us can understand the mama’s perspective (who’s actually pregnant, actually expecting an actual baby who actually needs an actual name in the actual near future), but I’m sure even the most laid-back among us can imagine the sister’s perspective as well. What a dilemma! I love that the expecting parents showed consideration and asked the sister for her permission (for lack of a better word) — we did this also with one of our boys. I hate that the sister said okay, and then changed her mind after the decision was already made. I hate that the sister isn’t speaking to the mom. I hate that the once-beloved, perfect name now evokes anger, frustration, and sadness. I posted once about naming “dibs” and included a bunch of links that I thought were useful. Given that we add the element of faith to our name discussions, I think we might all agree that relationships are, objectively, more important than names? This is something I try to keep in mind myself, though I know I’m more laid back about this particular issue than a lot of other namiacs. I also feel like we can all intellectually agree that no one owns a particular name, so the idea of “name theft” is somewhat misleading. There are also a zillion other names (and Abby had some awesome suggestions for this couple). I also don’t at all mind the idea of first cousins having the same name, and I think I would love the challenge of coming up with different nicknames. But. I also know that this can be a hugely emotional topic (especially for emotional pregnant ladies! I’m sacrificing my body, my hormones, my sleep, and my comfort for this baby, let me have my name! ), which can override any objective understandings of anything. And relationships are more important than names, but it doesn’t sound like the sister in this situation agrees, and it’s hard to have a good relationship with someone who refuses to play by loving-relationship rules, and who insists on behaving in a way that feels traitorous, petty, and selfish (and I can see how both the sister and the mama could feel this way about the other). But then we’re supposed to rise above and do the right thing regardless. Gah! What a mess. My dibs post is almost two years old, so let’s revisit it — what are your thoughts/reactions to the Nameberry post? Any personal stories you’d like to share? Do you all remember Sylvia of this consultation and this birth announcement? She blogs at Tales from the Mommy Trenches, and I just discovered that not only is she pregnant with her fifth beautiful baby — another girl! — but also that her sweet baby has a congenital heart defect and Down Syndrome (that post about receiving the results of the blood test that said the baby does indeed have DS was titled “Joy” ♥♥♥). A perfect addition to sisters Gloria Ruth, Victoria Rose, Elena Wren, and Sylvia Rhea!